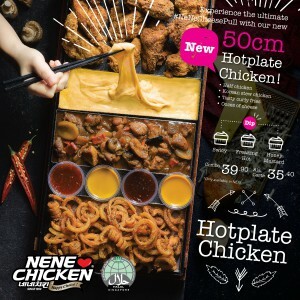 NeNe Chicken 50cm Hotplate Chicken! 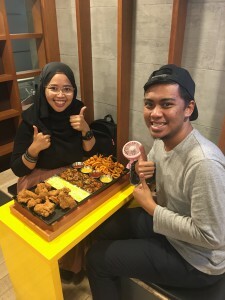 OMG we have been super excited about our new 50cm hotplate chicken and FINALLY we can share it with you guys!! 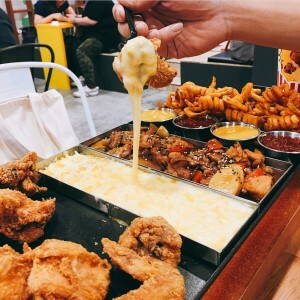 This hotplate features our signature crispy chicken x9pcs, curly fries, stew chicken, 3 sauces and the star of the show: stretchy, gooey cheese! 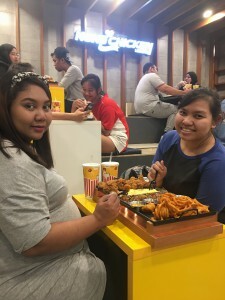 Today is the 3rd day of the launch of our Hotplate chicken, and we just want to thank everyone for the support. 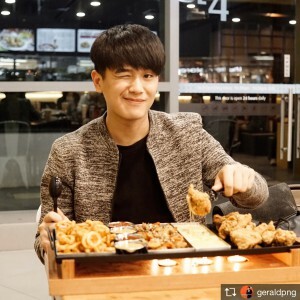 Thank you Thank you for waiting patiently in the queue We promise that it will be worth the wait. 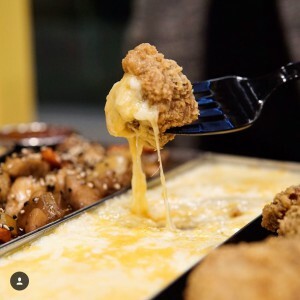 SO, anyhoos tag us on Instagram or Facebook and with the hashtag #NeNeCheesePull to show us how you pull your cheese! We like to pull it as long as we can till the cheese strands become thin, twirl it slowly around a chicken and DEVOUR! 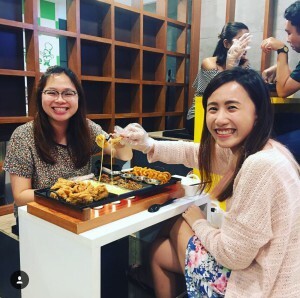 The cheese strands are thinner so you taste the perfect balance between the cheese and our chicken. So satisfying we tell you.